The Ivorian’s decorated spell will come to an end when his contract expires at the end of this season. Toure joined from Barcelona in 2010. YAYA TOURE WILL leave Manchester City when his contract expires at the end of this season, Pep Guardiola has confirmed. 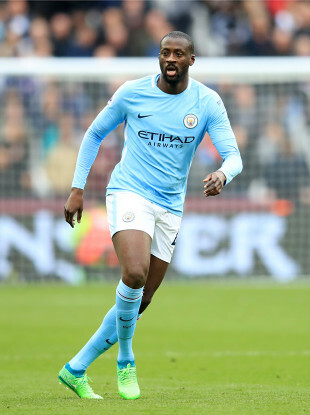 Toure signed from Guardiola’s Barcelona in 2010 and has been a key figure in City’s successes in the modern era, winning three Premier League titles, the FA Cup and two League Cups. The Ivorian was exiled from the City squad by Guardiola at the start of last season but he fought his way back to earn himself a regular place in the starting line-up, as well as a 12-month contract extension, but he has strruggled for game time during the current campaign. lt seems, however, that he will start next Wednesday’s game against Brighton, and that he will receive a heartfelt send-off from the Etihad Stadium crowd afterwards. “He will not stay this season,” Guardiola confirmed at his press conference. Guardiola also paid a glowing tribute to the midfielder, hailing him as one of the key reasons behind City’s current standing as one of Europe’s top clubs. Email “Yaya Toure to leave Man City this summer after eight years at the club ”. Feedback on “Yaya Toure to leave Man City this summer after eight years at the club ”.